Travelling back in time is impossible? So how did we leave Melbourne on Saturday the 30th of November and arrived in Rarotonga on the Cook Islands on Friday the 29th of November then? 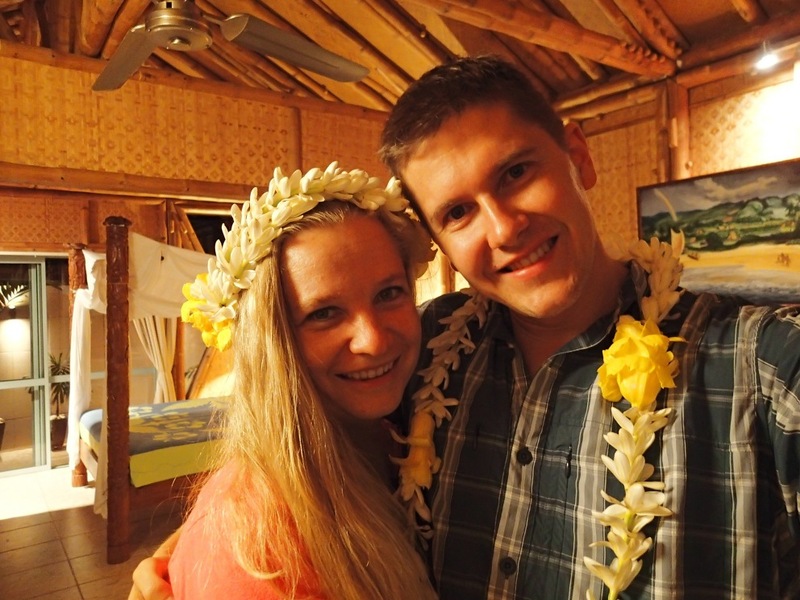 And does it really matter when you receive a warm island welcome with a traditional flower lei? Bea, looks like you are enjoying the islands. Who is the weirdo with you?